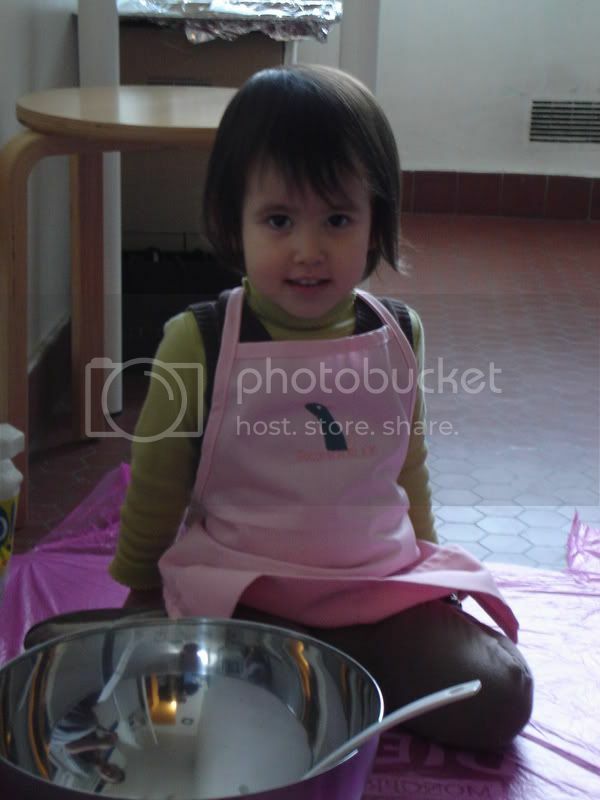 Across 2 Cultures - Cross-Culture Parenting and Lifestyle Blog: More baking. Since Laetitia had so much fun last weekend with the baking and even more joy eating the muffins/cupcakes she made, I decided to do more this weekend. 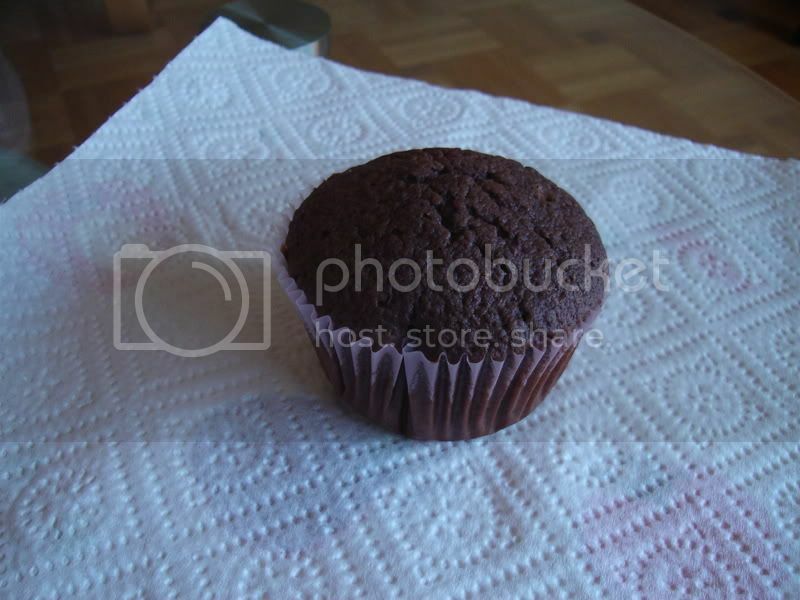 Yesterday we made some chocolate muffins. 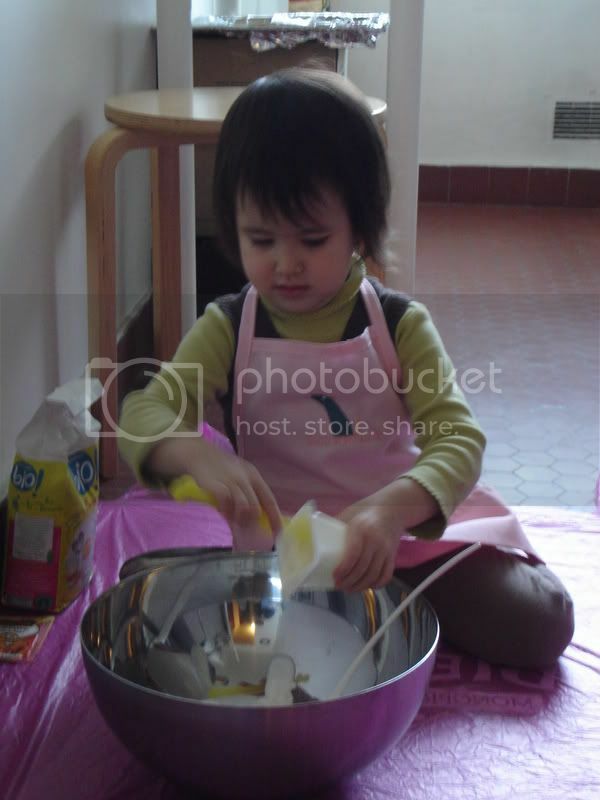 Here's the little baker in action. The lovely Ratatouille apron came from a friend of ours who used to work with Etienne in Toronto but is with Pixar now. 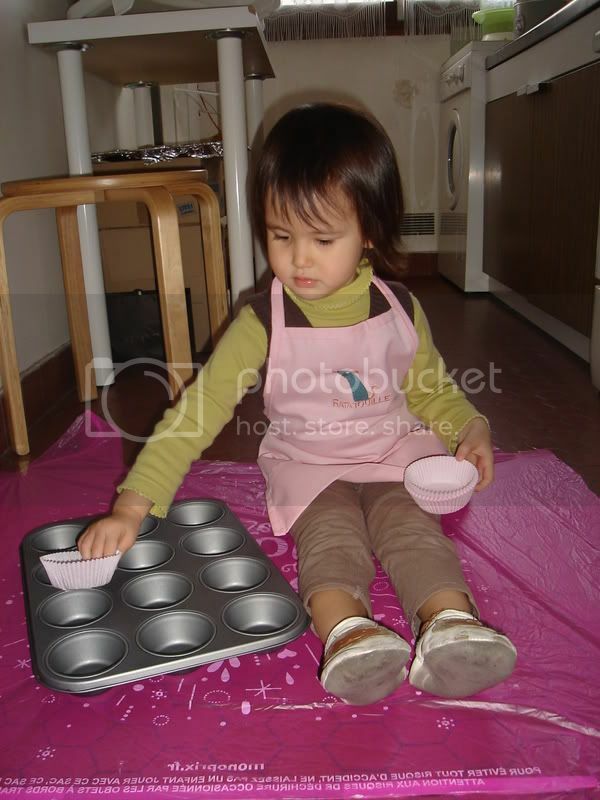 Preparing the muffin tray by lining them with the muffin paper cups. The final product (before being eaten for breakfast). Wah!!! All your cupcakes looks so nice and yummy!!! Just wondering if you email the receipe for your chocolate chip yogurt cake/muffins...errr..can include this choc muffins too?? I love the first pic of Laetitia seriously at work. So sweet. Preparing to be a big sister. Setting up the Christmas tree. Update on Laetitia's anxiety issues.